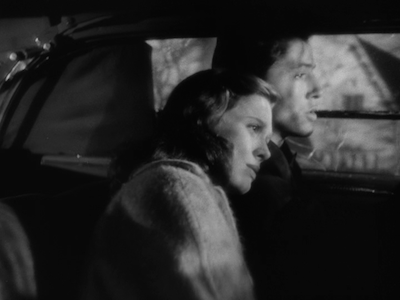 The first feature from director Nicholas Ray, 1948’s They Live By Night prefigures his iconic Rebel Without a Cause as a story about two doomed teenagers who fall in love despite the circumstances that put them on the wrong side of an adult world that either doesn't understand them or refuses to try. 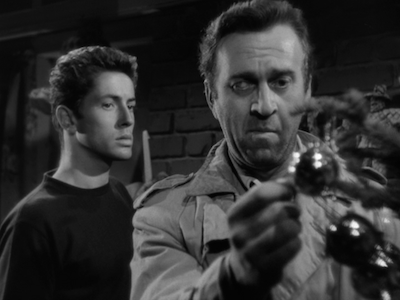 Adapted from the Edward Anderson novel Thieves Likes Us (also made into a later film by Robert Altman, reviewed here), They Live By Night stars Farley Granger (Rope) as Bowie, a kid who got into some trouble when he wasn't looking for it and now has broken out of jail with older bank robbers who also had life sentences for murder. On their backwoods crime spree, Bowie meets Keechie (Cathy O'Donnell, The Best Years of Our Lives), and their reaction to each other is romantic, hormonal, and strangely endearing and comforting. Keechie tries to find solutions to get Bowie out of his trouble, but the newspapers have seized on him as some kind of pretty boy highwayman, putting the lives of the two young lovers beyond their own grasp. That kind of foreboding permeates They Live By Night. Ray harnesses the adolescent us-against-the-world feeling of doom and gloom and wraps the entire picture in it like a cloth. It doesn't matter what Bowie and Keechie try to do, they can't live in isolation. A water pipe might burst and the plumber will recognize the young thief, or a former ally might get an itch for some kind of reward and turn snitch. Even Ray's camera acts as an otherworldly force, with his pioneering helicopter shots careening over the fleeing couple, showing just how much larger their surroundings are than a pair of kids in love. They live by night because the daylight means exposure. By the end of the film, the phrase "thieves likes us" has become a kind of mantra. Bowie has to accept that a thief is what he is now, there is no use struggling. It's a cold ending for the boy, because once he gives in, the shields come down, and the punishment that is meted out to such tragic figures arrives with swift ferocity. For those who owned They Live By Night in its previous incarnation, as part of Warner Bros.’ Film Noir ClassicCollection, vol. 4--which is what I originally wrote this review for--will recognize most of the bonus features here as coming from that 2007 set. The upgrade here is in picture and sound, which have been newly restored and remastered, rescuing the finer details of Ray’s production and preserving them for new audiences. You also get a new package design with art by MarkChiarello, a colleague of mine at DC Comics. Mark is a master of visual language, and his simple, evocative drawings bring the figures from the film to life in a way that captures their essential character while also transcending caricature. 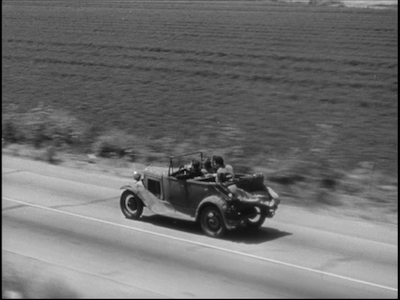 They Live By Night opens with tight close-ups of the lovers clutching one another as words on the screen inform us that they have been stranded in a world that hasn't allowed them their right to grow up. 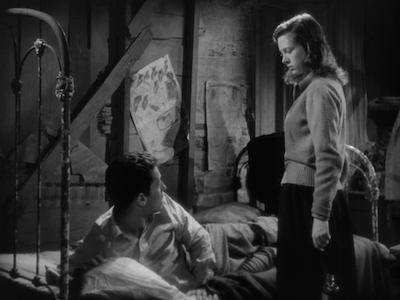 In similar fashion, Anthony Mann's Side Street has an all-pervasive narrator whose almost wry tone suggests that here, too, there are elements of fate that extend beyond what we can choose for ourselves. In fact, as the ersatz hero of the story will learn, one false move ends up having reverberations, setting off a chain of events that could be impossible to undo. Side Street reteams Farley Granger and Cathy O'Donnell as another pair of young newlyweds. Joe and Ellen Norson aren't that different than Bowie and Keechie from Night, except they live in New York instead of the hills and they started out by trying to live right, only the payoff hasn't been very good. Ellen is pregnant, but after a stint in the army and a failed business venture, Joe can only find part-time work as a postal carrier. He dreams of buying his beloved wife a fur coat, but he can't even afford their own apartment. On his delivery route, he sees that a lawyer keeps cash stashed in his office. Thinking he'll be stealing only enough to get by, Joe returns to rob the place. Only, when he checks the stash, it's actually $30,000. Unbeknownst to Joe, the crooked lawyer and his heavy have blackmailed a rich pervert, and the girl that lured the patsy to his doom has ended up dead. Yup, poor Joe is in over his head. Tough-guy director Mann, working from a script by Sydney Boem (The Big Heat), arranges his various plot points like pieces in a game, each character moving across the giant playing field, no less than New York City itself. 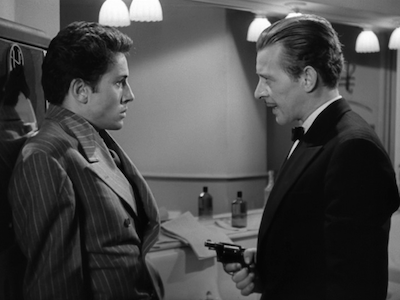 Shooting on location, Mann takes us through the streets of Joe's troubles, mixing the semi-documentary style of Jules Dassin's The Naked City [review] with the nervous, feral atmosphere of the noir masters (something Dassin was also pretty good at, particularly in Night and the City [review]). There's nobody in this film that Joe and Ellen can trust, not even the police, who though righteous in their duties aren't necessarily compassionate. Friends will rob you, street-savvy children will sell you out for ice cream money, and life isn't worth very much at all. And yet, despite his brutal directing hand, Mann always has a weird 1950s innocence to him. As much as Joe flails about, there is a kind of safety in Mann's tone. It's like he's that smart little kid with the info, who even tries to school the police in how to resolve the situation. He knows how it's all gonna turn out, not to worry. It's also the comfort of genre: we have certain marks to hit, and Mann is going to get us there. Portions of this review originally published on DVDTalk.com. 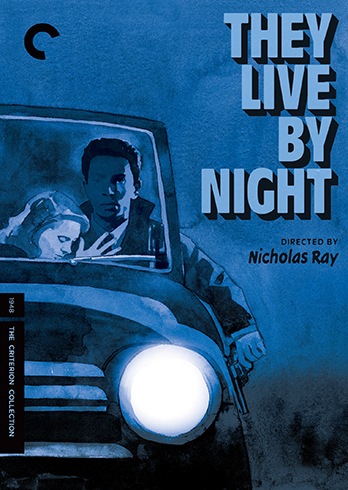 Images here are taken from the 2007 standard-definition release of They Live by Night and not the Blu-ray under discussion.